Home > Search for "lqbl90"
Arena makes cutting-edge men’s swimwear for intense training and frequent swimming. Printed front and back with a molecule print in ombré colours, our Spider shorts for men effuse graphic cool. This maximalist style is an easy way to stand out at the pool. Superior comfort and visibility with an exceptional design, the Aqua Sphere Kaiman goggle is an excellent competitive-style goggle that offers features superior to a traditional swim goggle. 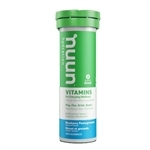 Skratch Labs Exercise Hydration Mix, also known as Secret Drink Mix, was developed and tested in the field with athletes competing in races like the Tour de France. Limited quantities. Don the Arena Shadow Jammer for uncompromised support and comfort. Constructed from MaxLife material and a front liner, these jammers enable a full range of movement so you can push yourself to your max on your laps. Push through laps with ease. Count on this effective jammer on race day, constructed from ProLT fabric. This compression-fit bottom is made to last through a season of training and meets. The Speedo Men's Amplified Pulse Jammer is constructed of Speedo's innovative Endurance+ fabric. Set the tone on race day in this performance jammer. ProLT fabric in a trendy camo-print provides the stretch and recovery you need to take you through a season of meets and training. Durable Polyester Swim Jammer ideal for swim training and regular use. Durable Polyester Jammer ideal for swim training and regular use. The Aqua Sphere Arizona jammer is made of chlorine resistant Aqua Infinity fabric for repeated use as a training suit. Comes fully lined. The Aqua Sphere Budapest jammer is made of chlorine resistant Aqua Infinity fabric for repeated use as a training suit. Comes fully lined. This sporty suit isn't about to get in the way of your workout. Lightweight 4-way stretch fabric moves with you for maximum mobility in the water. Built-in sun protection shields skin from harmful uv rays; internal draw cord offers an adjustable, customized fit. Optimized for superb function in the summer heat, the Tri Elite Course Sleeveless Top delivers optimal race day performance. Built with aerodynamic fabric, the jersey is engineered to cut through the air efficiently, to help you on your path to the finish line. GU Brew is naturally flavored with an ultralight taste profile for great drinkability prized by hardworking athletes. Best before date shown in cart. 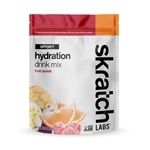 Skratch Labs Exercise Hydration Mix, also known as Secret Drink Mix, was developed and tested in the field with athletes competing in races like the Tour de France. Best before date shown in cart. 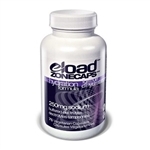 Gu Roctane Gel is a quick energy boost in a convenient, easily ingested form. Add to cart to view best by date. Featuring the Canadian Maple leaf, this swim jammer is ideal for swim training and regular use. Built for exceptional comfort and durability, this 2XU Active Tri Singlet utilises SBR SKIN X fabric for mild, long lasting compression to support the muscles and enhance performance. Featuring LG's carbon fabric, this Tri Top combined coldblack technology and compression so you perform your best on race day. Designed for comfort and feature-packed for performance, the Carbon Comfort Tri Top is designed so you perform your best on race day. Park Tool has worked with 3M to produce a self adhesive tube patch that stretches, flexes, twists, and turns right along with the tube. No messy glue, no bulky packaging. Lightly roughen tube with the included sandpaper, clean, apply patch, and youre ready to go. Six patches with sandpaper in a neat little carry along box. Pro Energy Towel is a disposable cloth made from non-woven fabrics similar to baby wipes used to cleanse sensitive skin of infants. Replacement bottle for the Torhans VR Aero Bottle System. This versatile, form flattering Perform Tri Singlet complements the 2XU Perform Tri Short. SBR LITE fabric delivers an unparalleled quick dry out of the swim and mid level gauge for optimal ventilation, while flatlock seams, a streamline cut and 5D elastane enhances comfort. Best before dates shown in cart. Note: requires aero seatpost with 2 mounting holes ... read on. Cervelo Specific Alloy Rear Hydration Carrier. You know those mysterious two holes in a Cervelo/QR seatpost? Well, this Carrier will fit in there, a nice tight fit. For Cervelo P2, P3 (2012 and prior), P4. 64g. Includes 1 Pair of X-Straps.